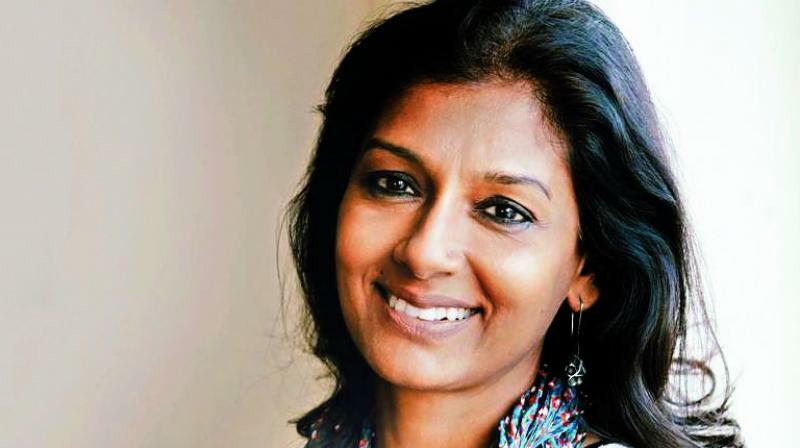 Actor-director Nandita Das on returning to acting, not having a PR team, and how she manages to run her house despite being so picky with films. Your last film as an actor was I Am (2011) and now after so many years, you are doing Albert Pinto Ko Gussa Kyoon Aata Hai. Why have you stayed away from acting all these years? For anybody who has some credibility in the industry, there is no dearth of work. But, there may be a dearth of the work that you want to do. Something had excited me but I couldn’t take it because the time was not right. I have been busy with Manto (2018). But in-between, I have done many other things such as writing for a column. I have an eight-year-old child, which is a lot of work. Acting and direction both are not career choices for me, they are more like interest. I have not actively seeked for either. I have directed only when I was compelled to tell a story. I have acted only when I felt I want to be part of this story. Actors are constantly taking up work because it is also a matter of survival for many of them. What about you? It is difficult. These days, actors have managers, PRs, you can’t repeat your clothes, (you have to) engage in social media. My first film was 23 years ago— Fire. In 23 years, I have never had a PR. Now, I have a manager because I am getting a lot of work but otherwise, I never had the paraphernalia of an actor. If your lifestyle demands you to be in a certain way then you have to compromise and do more work to keep it going, it’s a vicious cycle. (But) if your needs are very minimal, then it doesn’t matter. I don’t have any savings and I keep going broke from time to time but it is okay. I also do a lot of speaking engagements and I write. So, there are things that I do and keep the ball rolling. Also, the industry looks at ageing differently, especially when it comes to the actress. How do you deal with it? I am 50 now and I am very much at peace with my age. I am feeling much more nicer, I feel there is a kind of thehrav (stability), it’s more internal. I have such experiences that have enriched me. Thankfully, I am not ambitious. If I was an ambitious actress, it would be a frustrating place to be in. You are dark so you can’t do a certain kind of role, you are not putting your photos enough... there are so many things. Even beauty has been standardised. I feel ageism has always been there but the pressure on how women look has increased, which is such an irony. More and more women are getting empowered and yet we have this. We are objectifying our own self. An actor who does not fit into the parameters of good looks can still become big, but with actresses, it’s not the same. Their skin has become lighter and lighter, the hair has changed, the nose has changed... they are changing their own body to fit into that notion. I am very much at peace with my age. Are we getting regressive? Do you feel films in the 80’s were much realistic? Films of the 80’s were telling stories of regular people. There was a kind of a social realism that was being explored. Now, it is said that there are different kind of films coming out but I don’t know if the diversity in our country is truly being reflected through films. Diversity is shrinking. Economics is interfering more with art now. It is more paradoxical. (Although) We are getting more avenues but in someway, we are lacking. You are so opinionated? do you tend to lose your cool when you see what’s happening around us? I used to be very angry but I am calmer now because anger also adds to the violence. There is so much violence around us in this world from lynching to rapes… Violence is constantly being justified and it should never be justified. I feel anger is not a healthy emotion. I don’t know if I am angry but I feel deeply troubled by it although I do believe there are enough good people who want peace. I am not judging that emotion either but just being angry is not going to help and how we are going to change the system is what matters. So would you want to actively participate in changing the system by getting into politics? I am politically engaged but I personally feel we all have to be responsible, I think it’s important. And, all of us should vote.